It more seems like Cham a look back a hype because him si seh di woman dem a gwaan wid a likkle ting. Cham can NEVER lose hype status. Him born hot and talented. Him likkle wife fit him too. People i will save unno di chubble…there is a perfectly good reason the song is private because such crap doesnt belong in PUBLIC. 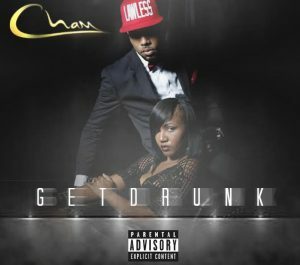 the song is beyond wack,Cham actually says …MI LOVE IT LIKE HOW MI LOVE CRACK!! I have lil doubt is the said O give him it cuz he left yard a weed man so..yea. It is a 3mins song but mi stop at 2:45mins because PEOPLE I COULDNT BEAR N COULDNT SURVIVE 15SECS MORE…I PREFER THE SOUND OF 44 DONKEYS BRAYING FOR 4 DAYS NONSTOP AT MY BEDSIDE WINDOW THAN THIS NON DANCEHALL FOWL SHYT SONG. ONE OUT OF THE TWO A UNNO OUGHTA FILE FI A DIVORCE BECAUSE UNNO DONT MEK ANY FORM OF BEAUTIFUL MUSIC TOGETHER! ” Baby how it sweet suh me love it like crack”. Had to go back n listen. Good fi u mr Beckett….